In the summer of 1997, as a jazz vocalist with a strong background in dance, Gabriele Tranchina was searching for a way to share her knowledge with the next generation. At the suggestion of a close friend, she attended a training program to become a Music Together® Teacher. In 1999, the Children’s Play Club of Morningside Gardens, approached Gabriele with the prospect of offering Saturday classes at their recreation room. 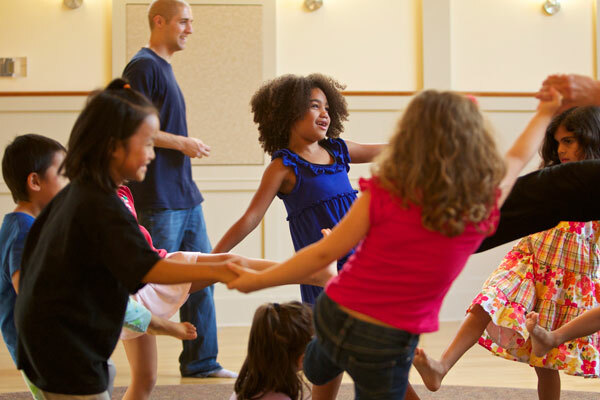 Together with the MG Play Club group, Sol La Ti’s Music Together has been able to offer classes to the MG residents on Saturdays at a discounted price. To find out more on how Sol La Ti got started and lived through 9/11 and more: HERE. As many families from the Harlem community wanted locations closer to their home , a third location was started in the Spring of 2003 at the Harlem School of the Arts. Judith Insell, a Harlem parent, musician and educator made possible this wonderful connection. In 2015 a wonderful location was added at the Church of the Master and in the Fall of 2018 La Hermosa will be our furthest east location. We are reaching out to partner organizations in the Harlem community in order to help the families in Harlem of lower income receive the Music Together curriculum. If you know of any organization interested, please contact us. 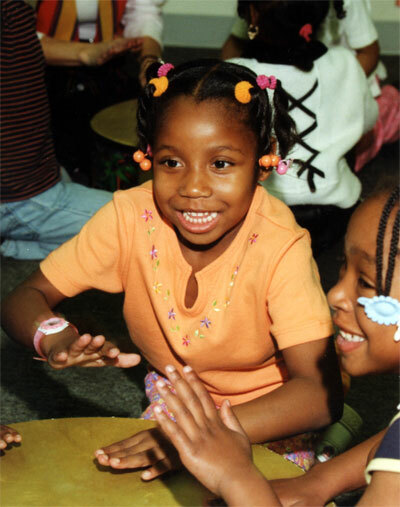 In 2014 Budding Blossoms Daycare signed up for the Music Together curriculum in their Daycare center. It has been a great joy to see the children of this Harlem Preschool blossom in the care of our teacher Mia Neibert DeJesus. In 2016 we were also very fortunate to bring our preschool model to a Headstart program in the Bronx called Sheltering Arms. As one of the medium size centers in Manhattan, the emphasis of these locations is a very personal one. In addition to teaching Music Together, CYBC, RhythmKids and Musikalische Mäuse, our staff is interested in tightening the community bond, helping to create a feeling of a cozy neighborhood within the Big Apple. Many play dates and friendships start in class, and parents and caregivers feel welcome in a comfortable and relaxed setting.